There are some who call it the greatest example of Queen Anne architecture on the West Coast, but the locals mostly just call it "The Spook House". 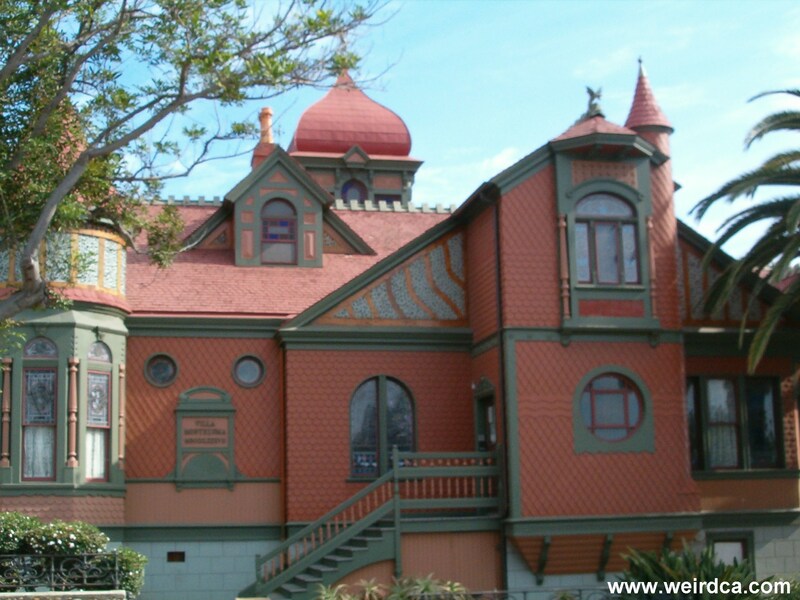 Built in 1887 for a musician from Europe named Jesse Shepard, the Villa Montezuma of San Diego has a bit of everything. There is the eye catching appearance of the place. Then there's the fact that it was built by spiritualists, and that not one, but two different owners conducted séances inside it. Add into that the fact that most of the owners have suffered from financial ruin including the first owner, Mr. Shepard. Finally, toss in the rumors of buried treasure in the basement, at least two ghosts, and several strange unexplained phenomenon and you have one bizarre house! 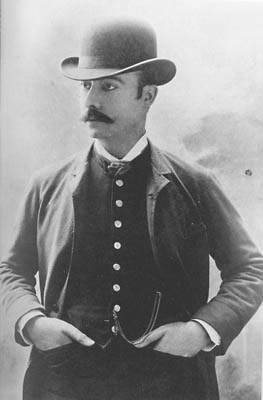 Jesse Shepard was born in London on September 18th, 1848. Although he moved to America when he was one, he eventually returned to Europe to give concerts and study literature. While in Europe, he gave stupendous recitals often before royalty including Alexander II of Russia and England's Prince of Wales, Alexander Dumas. While in Russia, the Czar of Russia's own Medium, General Jourafsky taught Shepard how to conduct séances. Eventually with several gifts from royalty, Jesse Shepard returned to the states and appeared in Chicago in 1880 giving séances and apparently contacting Egyptian spirits. In 1885 he met his companion and secretary, Lawrence W Tonner who stayed with him until Shepard's death. In 1887 at the invite of the first spiritualist society in San Diego, Jesse Shepard decided to relocate to the rapidly growing San Diego area. 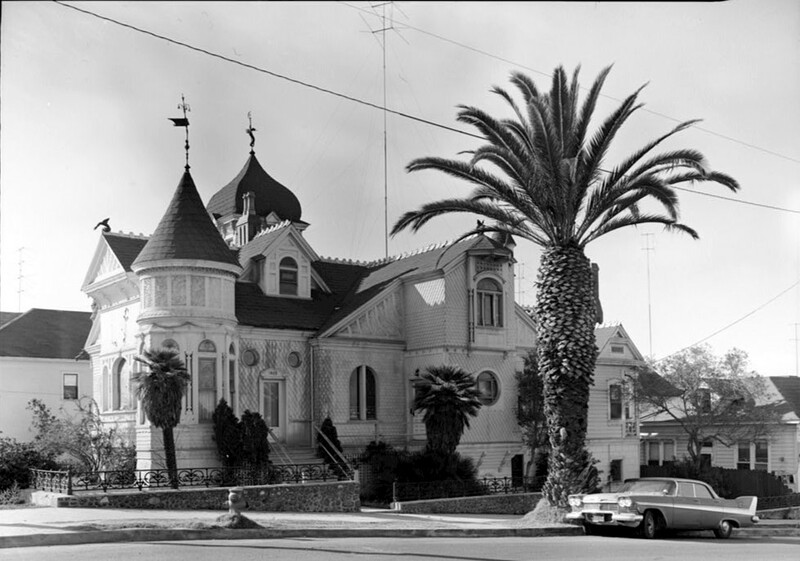 Two ranchers and members of the spiritualist society, William and John High, financed and built the Villa Montezuma as a home for Shepard. It cost $19000 at the time and was built to Shepard's exact specifications. Although many people believe that Shepard took advantage of the two ranchers when he suddenly turned around and left the San Diego area a few short years later, the High brothers also bought all the surrounding property near the Villa Montezuma. They resold it for a tidy profit speculating that Shepard's presence in town would raise the land values. The house is filled with stained glass windows, gargoyles, and towers. The house has five unique tile faced fireplaces. Shepard also had a tower room on the south side capped by an Arabesque dome which he used for his study. The music room dominated the entire east side of the first floor of the house and included an attached conservatory. The master and guest bedrooms were all located on the first floor while the second floor was mostly used as a museum housing Shepard's prized possessions and gifts that he had received from European nobility. A kitchen and servants areas were located below the first floor. Each room had its own unique feel and often color scheme. Additionally there were rumors of secret passages running throughout the house as well as concealed spaces behind some of the ornate fireplaces. The house was an instant hit with the spiritualists in the community. Shepard would often hold both séances and recitals in the house. Jesse Shepard believed that he could channel the souls of past great musicians. Thus his music was exceptional and often mimicked or simulated an entire orchestra simultaneously despite the fact that there was only one person playing. One such piece Shepard performed was known as the Grand Egyptian March and using only the piano and his own voice, Shepard recreated a battle complete with two opposing armies clashing. Shepard also believed that he could contact and speak with the spirits of Beethoven, Mozart, William Shakespeare, Chopin, and Julius Caesar and did so quiet often during his séances. 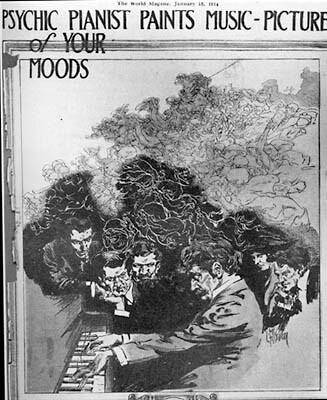 Soon after he arrived in San Diego, however, Jesse Shepard began turning away from both Spiritualism and music. He began trying his hand at a literary career and tried on Catholicism as well. Soon he took on a literary name: Francis Grierson. By 1889 after publishing a collection of essays in France in 1888, he decided that he was going to leave San Diego and head to Europe to further his literary career. The Villa Montezuma was sold to a David D Dare on December 17th, 1889 for the princely sum of $29,000. Now the legacy of the house comes into play. Apparently, or so it seems, a curse is laid upon the house and its owners. David Dare, rumored to be a conman, was also a VP of a California National Bank. Soon after purchasing the house, he was forced to flee town, the police hot upon his trail. His business partner apparently had committed suicide before he left town and Dare was accused of looting the firm. Additionally, the shyster Dare, sold the house for $30,000, completely swindling poor H. P. Palmerston in January of 1890. Palmerston was unable to make the payments on it, and the house was foreclosed upon in 1893 and auctioned off for $18,000. The house was then leased for awhile and in 1900 ended up in the hands of Dr. George Calmus for the sum of $10,000. But in 1906, Calmus goes bankrupt, flees San Diego, deserting his wife (she ironically gave piano lessons in the house), leaving her with not one but two unpaid mortgages on the house. 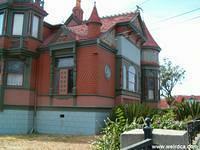 From 1906 to 1909, the house was rented to Mr. and Mrs. George Montgomery along with Mr. Guy White. Mrs. Montgomery was additionally a medium who used the house to give séances. The longest tenants in the house were Frank Lynch and his wife. They moved into the house in 1909 and resided there until their deaths in 1942. Afterwards the house was utilized as apartments, a boarding house, and a multi-family residence until 1948 when Edward Campbell purchased the house in order to search it for buried treasure. The last owners of the mansion were the Yaeger's, a retired engineer and a former silent film actress. Mr. Yaeger died in 1958 and his wife sadly took poor care of the already dilapidated Villa. Sadly Mrs. Yaeger's mental health began to deteriorate. She went into denial about her husband's death and began standing on the street outside the house asking passers by where her husband was. She's even rumored to have occasionally carried a gun, threatening people in her attempts to find out where her missing husband was. Finally, in 1968 she tried to sell the house for half the value, but her relatives contested the sale. 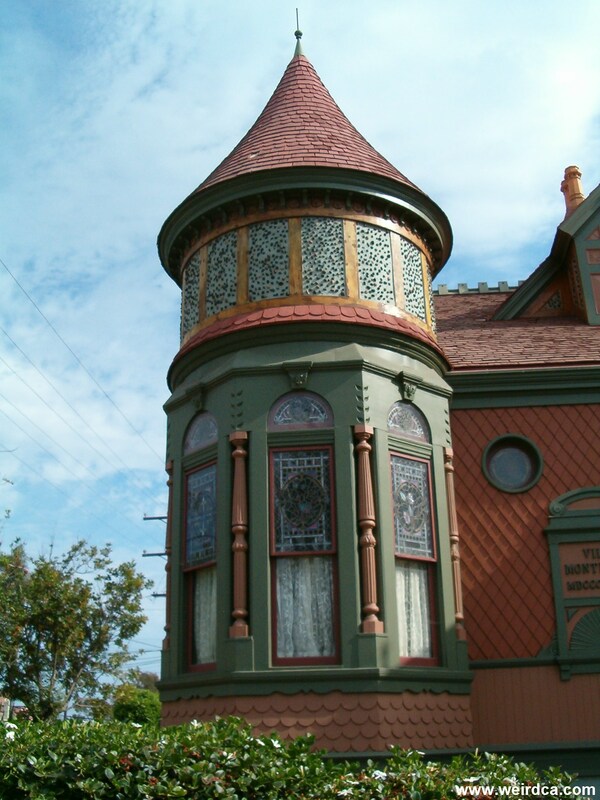 Eventually after some time in court, the house was purchased by the San Diego Historical Society, who retain ownership today. Jesse Shepard continued on attempting to start a career in writing, but sadly made very little money for his articles. Shortly after he left, the big economic boom that was occurring in San Diego went bust, causing falling land prices and poverty to many of the people who had relocated to the are. Both Shepard and the city fell on hard times. Over the next couple of decades Shepard was often forced to sell some of his prized possessions and gifts from nobility in order to make ends meet. His companion and secretary also often took other jobs in order to make money to support the two. Charity concerts were occasionally arranged as well. Finally on May 29th, 1927, after having sold all of his possessions, at the age of 79, Jesse Shepard died during a concert he was giving in Los Angeles. After he finished his musical piece, he reportedly hung his head over the piano as if lost in contemplative silence and passed away. The Los Angeles Times ran "Famed Author Dies in Want - Francis Grierson Declares Victim of Stavation Here After Pawning Watch Presented by King". 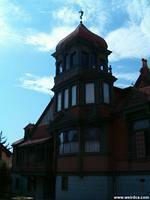 Although no one still lives in the Villa Montezuma, and although Jesse Shepard long ago died, the house still lives on. Even though the house suffered from a fire in 1986, the Historical Society is doing its best to maintain and preserve the historical structure. At one point it was open for tours and museum presentations, but due to deteriorating conditions it was temporarily shut down. Regardless, the strange events inside and around the house continue. Rumor has it that not one, but two ghosts haunt the stately manor. One is suppose to be Jesse Shepard himself and piano music can still occasionally be heard emanating from the house at odd hours of the night. The other is supposed to be a man who rumor would have it hung himself in the observatory tower. Some believe that he is a butler of Jesse Shepard and he was devastated over the death of his own wife. The body can still often be seen hanging in front of the window. Also his ghostly face peers from the windows at night. But the wacky events don't stop there. People on tours have reported seeing and feeling things. The stained glass window of Peter Paul Rubens, an artist, is supposed to have a beard that is slowly graying over time. Near one corner of the house, plants refuse to grow and the gardeners are baffled by it. Finally for awhile a silver Abyssinian cat with blue eyes and extra toes took up residence on the property. The caretakers named her Psyche. Not only did she easily live through the fire, but rumor states that she has lived far longer than any cat should. So regardless of if strange spiritual activity occurs around and in the Villa Montezuma, regardless of if has at least two ghosts reside in the house, regardless of if there is buried treasure, regardless of it the ghosts of countless séances still pass through the property, and regardless of if a curse lies on the occupants of the house causing them to fall into financial ruin, the stately Villa Montezuma still stands proud in San Diego, overlooking the coastline. Weird but proud. My dad grew up on nearby Market street in the 1930's and told us about this house when we were growing up; even in the 1930's it had a reputation as haunted. This was very intriguing to me and as a (oblivious!) newly driving teenager in the early 1970's, I visited the house several times, simply knocking at the front door and asking to take a look inside (!) The first few visits I recollect just various regular looking people answering the door, though one time there was a man who looked like a Hari Krishna who let us in and allowed the most extensive tour of all. There were no hours or signs posted outside the house. Later there were docent type people (identified as such) who answered the door during posted visiting hours/days. I recall one docent said that the house was originally on 5 acres of land that was later sold off. Several times before 1973 I brought friends there to see the house, even though it was miles and miles away from the Clairmont neighborhood I grew up in. The interior was amazing-ornate woodwork, stained glass, gargoyles, etc that even at that tender age I could appreciate. Period rugs, light fixtures and furniture too. There were "occident" and "orient" stained glass windows with Jesse Shepard pictured in each window with different clothes. There is a spiral staircase leading to a tower with stained glass windows depicting the four seasons where reportedly seances took place. Would be so great for the public to have access now, though I know the neighborhood is really sketchy (and that is putting it kindly). What a shame, if this house was located in a better area it would likely flourished as a tourist attraction and probably attracted more funding for preservation. 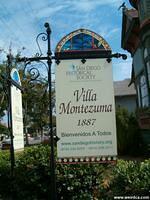 I haven't lived in San Diego for many years but still remember the beauty and mystery of the "Villa Montezuma". Me and my dad went to the Villa Montezuma several years back, when the Ghosts and Gravestone tour still took you inside haunted buildings. We were standing in one of the rooms, just three of us, and one of the rocking chairs slowly started rocking back and forth. Once we all started looking at it, it abruptly came to a stop, as if the person sitting in it just got up and walked away. Oddest experience I've had. I live right next to the Villa. Weird stuff does happen. My window faces the house, too, so I prefer to keep it closed. 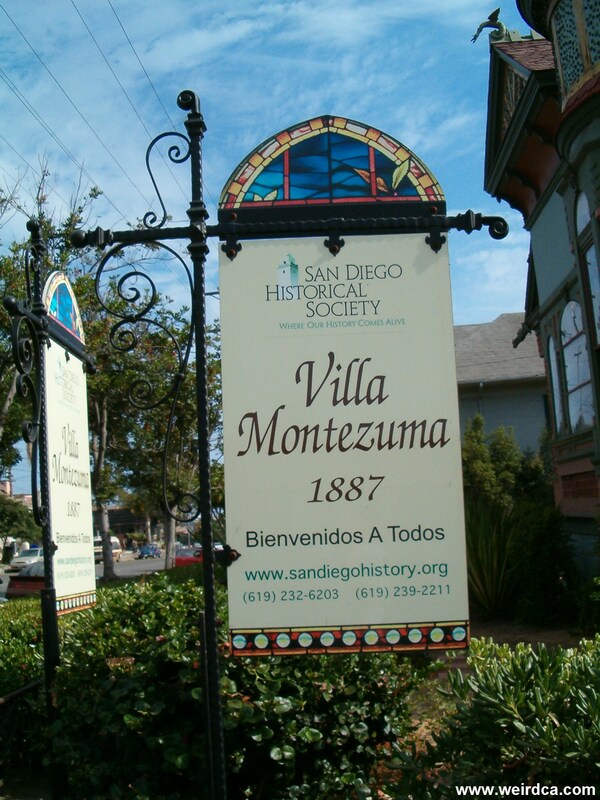 in october 2004 my wife and i went on a halloween tour of old town san diego.we went to the waely house and the villa montazuma,when we where walking through the music room i fell behind a bit and on the way out i could hear piano music. two days later we were talking to our friends about our trip, i told them about the piano music that they play on the tour,my wife told me that they dont play music ,so we called that day and asked if they did and they said no. so i got to hear mr. shepard play for me. it sound great. I went on a private tour of the house in June 2004. Upon entering the house, it was beautiful and old, but it didn't really seem "haunted". As we were leaving I got a notion to snap a picture of the tower and sure enough, when I had the film developled there was a face looking back at me! Is that creepy or what!!! My husband was on the HABS team the summer of 1971 and we lived in the Jesse Shephard house. Our bedroom was on the second floor and the bed was at the base of the winding staircase to the tower. I would hear footsteps at night on the stairs . No one was up wandering around. Even in it's dilapidated state it was truly beautiful! We visited the restored house with our family in the summer of 1992. It was quite a site to see the house in it's original splender! We told our daughters about the summer of '71 when we lived in the Villa Montezuma! Well, the villa is closed for repairs, so I was unable to go inside. But, I took some beautiful photos of that great house! I've never seen anything so unusual.